According to the UN, at least one third of the global urban population suffers from inadequate living conditions. 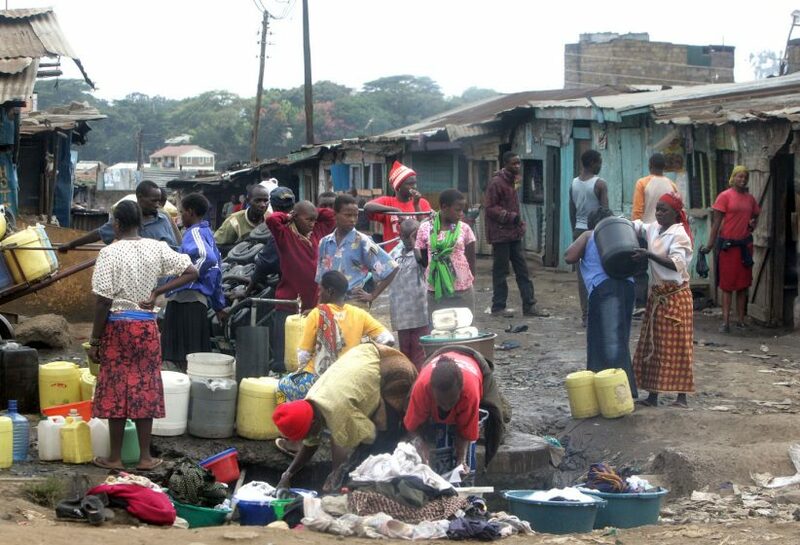 Lack of access to basic services (drinking water and/or sanitation, not to mention energy, waste recollection, and transportation), low structural quality of shelters, overcrowding, dangerous locations, and insecure tenure are the main characteristics normally included in the definitions of so-called informal settlements. Words matter. These “informal settlements” are neither informal nor irregular— they are, above all, human settlements. Recognized as a global phenomenon, no country can claim to be free of informal settlements, although the numbers of people suffering can vary largely depending on the region: these problems now affect up to 60 percent of the world’s population—or even more—in some Sub-Saharan African and Southeast Asian cities, and the number of people affected in these locations is expected to double over the next two decades. High percentages are also seen in several Arab countries, and at least 25 percent of urbanites in Latin America live in informal settlements. Precarious housing and living conditions and growing homelessness can also be found in Europe, North America, Australia, and New Zealand, affecting, on average, one in 10 people. 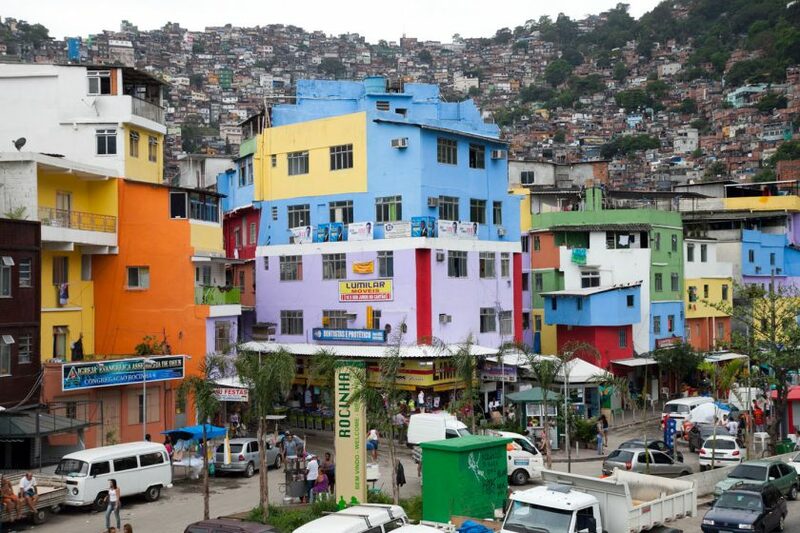 Squatter settlements, favelas, shacks, villas miseria, bidonvilles, slums, and many other names are typically used to refer to such impoverished neighborhoods. In general terms, all of these names highlight their negative characteristics and clearly imply pejorative connotations. By cruel extension, the words used to describe the physical conditions of the settlements also tend to apply to their inhabitants. 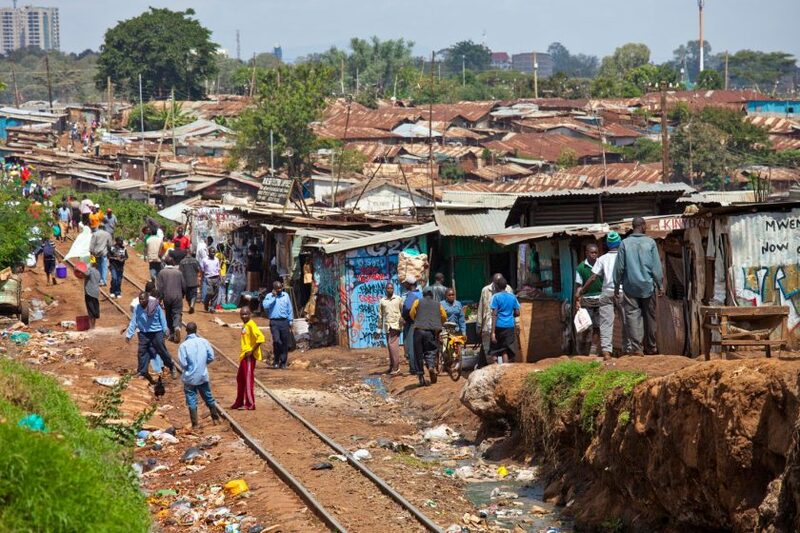 Despite what normative frameworks might say about all persons being equal before the law and the state, inhabitants of informal settlements are generally treated as second-class citizens. In academic and government documents, “informal settlements” is the label typically applied to these areas. That those communities are not in compliance with building norms and property and urban planning regulations is often given as the main reason for qualifying them as “informal”. Also defined as “irregular”, they can easily be called “illegal”, and their inhabitants subsequently criminalized, displaced, and persecuted. From India to South Africa to Ecuador, legal and administrative changes have been made in recent years to give special/ad hoc inspection and demolition powers to local, provincial, and national governments to deal with these neighborhoods and, in theory, to prevent them from growing (in many cases, environmental laws and regulations or urban projects are used as excuses for destroying these settlements). As was recently recognized, the UN’s Millennium Development Goal 7-Target 11 commitment to reducing the population living in slums by 2020 was tragically translated in several countries as the pressure to destroy people´s self-built housing and even to incarcerate the leaders of social movements (for a critical analysis of the “cities without slums” initiative and why language matters, see Gilbert, 2007). In Zimbabwe alone, the UN reports that as many as 700,000 people were affected by terrifying slum “clearance” operations in 2005, which took the revealing name of “Remove the filth”! At the same time, these areas are frequently presented as empty, colored grey or green on maps. As we all know, not having an official address (street name and house number) is a huge obstacle to being able to fulfill other needs and rights: applying for a job, sending one’s kids to school, being admitted into health systems. Invisibility and stigmatization of citizens living in particular neighborhoods go hand in hand and make poverty, exclusion, and discrimination self-perpetuating. Social exclusion often means spatial segregation, and vice versa. Following a tradition most probably started before the mid-19th century in some English cities undergoing industrialization processes and migration from the countryside, our contemporary media still often depict the inhabitants of informal settlements as the troublemakers, the thieves, the lazy. It is hard to find positive stories about their daily struggles for better life conditions, rights, and dignity. It is clear that we urgently need a better approach to naming and framing such areas broadly called “informal settlements”—one that is respectful and sensitive to the people who live there and that could better promote the transformations that our cities and our societies need. The “informal settlements” label does not reflect, nor does it take into account, the many variations that these popular settlements present in different parts of the world. Using “slums” or “informal settlements” to describe Kibera in Nairobi or Rocinha in Rio de Janeiro does not seem appropriate when, just by looking at some pictures, anyone can tell that they present many differences in terms of quality and durability of the housing materials and access to basic services and infrastructure, to mention some of the more visible contrasts. We can then look to statistics and realize that while the cariocas of Rio have private bathrooms in every housing unit, their fellows on the other side of the ocean only have 1,000 public toilets for 180,000 people. 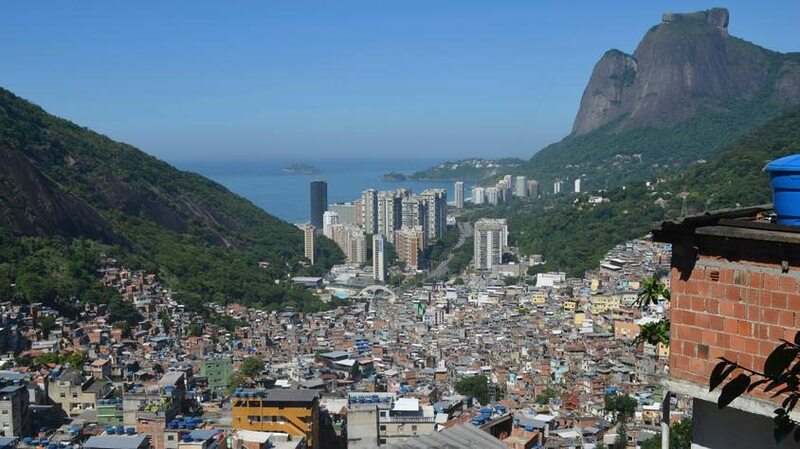 Not only that: as a consequence of massive investments during the recent years in neighborhood improvement programs, a Rio favela house with a view of one of the many wonderful bossa-nova bays might now reach US$ 250,000 in value—and rumors that Hollywood stars are buying them are widespread. 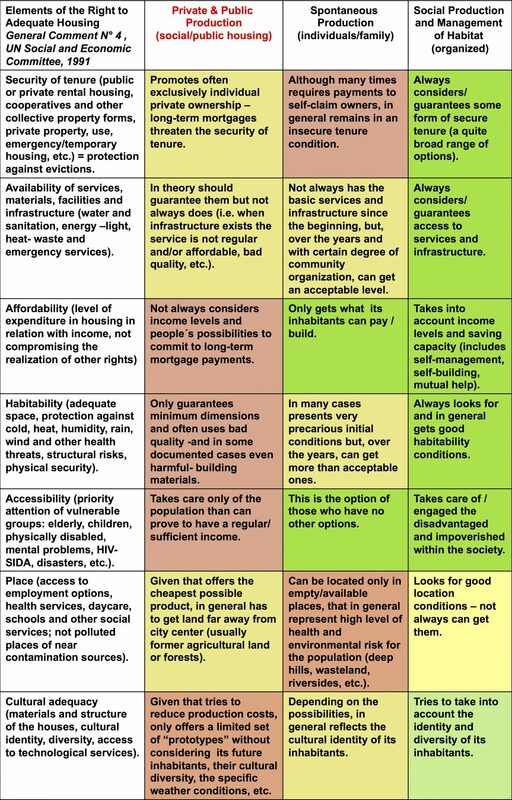 Likewise, the classification of all such areas as “informal settlements” does not indicate the relevance of the places in their cities that they occupy or the spatial segregation they usually suffer from; the lack of access to affordable and public transportation, places of employment, schools, hospitals, and other basic facilities; the lack or limited access to financial resources such as credits, subsidies, etc. ; or the lack of technical assistance and/or adequate materials to consolidate housing and neighborhoods buildings and infrastructure, just to mention a few. The difficulties of defining a phenomenon so varied and dynamic as “informal settlements” are often invoked to justify the continuing use of the catchall term and the predominant focus on what they do not have (Connolly, 2007). But academics in several regions have been discussing the formal/informal false dichotomy as a kind of “discursive differentiation” that shapes and enacts knowledge and power relations on the territories. Many of them argue that binary classifications are clearly insufficient to reflect the complexity of settlement processes that we face in reality; such classifications simultaneously hide authorities’ responsibilities in producing informality (Roy, 2009; Yiftachel, 2009; Wigle, 2013). By defining what is formal and regular, and changing those definitions over time, according to political interests, involved governments maintain these settlements in a “grey” zone of non-definition and permanent negotiation that makes their inhabitants more vulnerable to clientelistic practices (understood as exchanges of goods and services for political support), which are particularly intense during electoral periods. The above authors go so far as to denounce that “the use of such binary categories also entails an uncritical view of regular settlement areas” (Wigle). On a related note, the irregularities in accessing urban services and/or violations of land-use and other planning norms in rich neighborhoods are not punished and, in many cases, are even presented and considered as positive ´investments´ that benefit the community as a whole. Based on such considerations, formal/informal, regular/irregular are ever-changing and mutually-defined categories and not fixed, contrasting entities. In more general terms, these classifications do not allow us to analyze the profound, structural causes that explain the creation of precarious and inadequate settlements: expulsion of rural, campesino, and indigenous people due to the lack of government support for small and medium-sized agriculture; lack of mechanisms to control land grabbing and speculation; evictions and displacements due to multifactorial crises, social conflicts over land, resources, and natural or manmade disasters; urban renewal and “development” projects; lack of facilities and services; lack of affordable land and housing policies; social vulnerability and low-paid, unprotected jobs; lack of opportunities for youth; discrimination and marginalization. Without considering the causes, how would we be able to reverse those tendencies and find the needed solutions? Academics aren’t the only ones who have being questioning this negative and limited approach. For more than 50 years, civil society organizations, engaged professionals, and activists have being analyzing and supporting these processes from a different, but also critical, point of view. This movement, described as Social Production of Habitat, intends to highlight the positive and transformative characteristics of so-called “informal settlements”, which involve people-driven and people-centered processes to produce and manage housing, services, and community infrastructure. In other words, processes of practical problem solving for achieving human dignity and a better quality of life. “Social Production of Habitat” is a phrase intended to describe people producing their own habitat: dwellings, villages, neighborhoods, and even large parts of cities. They may be found in rural and urban settings, ranging from spontaneous individual/familial self-constructions, to collective productions that imply high levels of organization, broad participation, and agency for negotiation and advocacy with public and private institutions—although, in general, they are implemented with very little or no support and often despite a myriad of economic and institutional obstacles (Ortiz and Zárate, 2002). In recent decades, Habitat International Coalition, or HIC (full disclosure: I am currently serving as President of HIC), and other international networks have been documenting some of these collective initiatives in various parts of the world. Different kinds of organized social groups (social movements, cooperatives, tenants’ federations, women’s organizations, etc.) are driving innovative experiences that cover a broad range of activities: from accessing land and building housing and basic infrastructure, to the responsible management of the commons (water, forests and green areas, public spaces and community infrastructure); from gender equality and human rights promotion and defense, to food production and preservation of cultural identity. The underlying, essential factor is that these initiatives and projects consider the production of housing and human habitat as a social process, not just as a material product. The collective effort to build and produce a place to live is not a mere object for exchange. It is a combination of different types of knowledge, expertise, materials, and other in-kind contributions from different actors and institutions, and not something that one can just buy (or not!). It is a social relation and not a mere commodity. Instead of “informal settlements”, we prefer to understand and describe them as practices and social struggles that not only build houses and neighborhoods strictly on a physical level; at the same time, and perhaps even more importantly, they also build active and responsible citizenships against marginalization and social and urban segregation, advancing direct democratic exercise and improving individual and community livelihoods, participants’ self-esteem, and social coexistence (Ortiz and Zárate, 2004). In fewer words: the city produced by the people. When organized, recognized, and supported (with the appropriate legal, administrative, financial, and technical mechanisms), these processes have a relevant positive impact both at the micro- and macroeconomic levels. Given that official statistics usually do not measure these people´s and communities´ efforts, HIC members have promoted research and dissemination projects with different academic institutions. The findings show that in places such as Brazil or Mexico, the Social Production of Habitat represents a constant contribution of around 1 percent of GDP (even in times of serious economic crisis, when public and private actors reduce their investments considerably); at the same time, they explain the multiple ways in which such social initiatives activate and strengthen several circuits of the local economy, at small and medium scales (construction materials and labour, professional services, etc.) (Torres, 2006). At the same time, and thanks to their innovative proposals and concrete results, individuals and organizations engaging in the Social Production of Habitat have influenced the reorientation of housing and urban development policies and contributed to generating changes in legal, financial, and administrative instruments relevant to social housing, self-managed processes, tenure security, attention to low-income sectors, and environmental improvement, among other issues. Social Production of Habitat movements and projects fill the gaps left from the state’s failure to respect, protect, and fulfill human rights, particularly the human right to adequate housing and other related rights: property, water and sanitation, participation, non-discrimination, and self-determination, just to mention a few. Moreover, the right to produce and manage our habitat is one of the strategic components of the right to the city. That being said, it is fundamental to highlight that people’s agency to improve habitat does not absolve the state of its obligations to citizens and residents (Schechla, 2004). According to the international commitments that they have signed, governments—both at national and subnational levels, including regional, provincial, and local authorities—are obligated to refrain from forced evictions, confiscation and repression of human rights defenders, discrimination, corruption, withholding services, and other such violations. State institutions and officials should abstain from actions that would obstruct the social production of housing process, in particular through housing destruction and displacements. As established in standard-setting instruments, when resettlement is the only available option (i.e. due to a disaster-prone location or similar issue), the participation of the affected community and families is mandatory in agreeing the details of the process and negotiating appropriate resettlements (including providing shelter in a nearby location so as not to affect people´s livelihoods and social networks), as well as just remuneration and compensation measures. At the level of protection, state obligations in the social production of housing process involve the provision of safeguards and assurances of freedom from unnecessary and disproportionate use of force, public-service fee increases, monopolistic control of building materials, and other impediments to the people’s process. The state also bears the obligation to prosecute violators and ensure effective relief and remedy for victims. Measures that prevent, deny, or repress the inhabitants’ rights to association, participation, and free expression in the physical development process would also violate the obligation to respect the human right to adequate housing. A new urban agenda 2016-2036: a paradigm shift? The third UN Conference on Housing and Sustainable Urban Development (known as Habitat III) will take place in Ecuador in October 2016. For almost two years now, multiple actors and institutions, including national and local governments, social movements and civil society networks, youth and women’s organizations, academics, professionals, journalists, and the UN and other international agencies have being participating in debates, declarations, and other documents that will serve as inputs for what should be the Conference’s main outcome: a “New Urban Agenda”. An initial set of written materials, the so-called Issue Papers, was produced during the first half of 2015 and dealt with 22 relevant themes. One of those themes was informal settlements, which tried to provide definitions of pertinent key words (without mentioning any critics or limitations), some updated global figures and facts, as well as relevant recommendations. Those “key drivers for action” included eight topics: Recognition of the informal settlement and slum challenge and the mainstreaming of human rights; Government leadership; Systemic and city-wide/‘at scale’ approaches; Integration of people and systems; Housing at the centre; Appropriate long term financial investment and inclusive financing options; Developing participatory, robust, standardized and computerized data collection processes; and Creating learning platforms. Although they might not be sufficient, each of these eight topics is fundamental, and the group of topics certainly reflects many of the concerns and proposals for which civil society and social organizations have been advocating. However, it seems that those important analyses and recommendations did not make their way into the second round of official documents, the Policy Papers (February 2016). None of those 10 papers dealt exclusively with informal settlements, and their contents do not seem to take into consideration the concepts or key drivers discussed in the previous Issue Papers. It is true that a few weeks ago, an official thematic preparatory meeting on this particular topic was held in Pretoria, from which arose clear and strong recommendations on relevant elements such as land policy (balanced territorial development and urban planning), protection against evictions, participatory and in situ slum-upgrading programs, among others; but, again, no critical review on the concept or alternative definitions were considered in its declaration. At the same time, the social production of habitat is mentioned several times in different documents, but only in a very limited and superficial manner, despite the prolific and solid contents and formal commitments that the predecessor Habitat Agenda (Istanbul, 1996) managed to include. Today, as yesterday, our networks will continue to push so that a more accurate definition, analysis, and policy recommendations are considered in the new agenda (see Mexico City Declaration on Financing Urban Development, March 2016). Bringing the communities´ voices to the debates and showing the achievements and challenges that they face should be one of our main tasks. Changing the words means changing the concepts; changing the concepts means changing the way we understand (or not) complex phenomena and are able (or not) to transform them in a positive way. Neither informal nor irregular, these are, above all, human settlements. Or even better: they are the city produced by the people: the people who claim their rights to live, build, and transform the city. Connolly, P. (2007) Urbanizaciones irregulares como forma dominante de ciudad [Irregular urbanization as predominant city form]. Unpublished paper presented at the Second National Land Use Congress, Chihuahua, Mexico, 17–19 October. Gilbert, A. (2007) The Return of the Slum: Does Language Matter? International Journal of Urban and Regional Research 31.4: 697-713. Ortiz, E. y L. Zárate (2002) Vivitos y coleando. 40 años trabajando por el hábitat popular en América Latina [Alive and kicking. 40 years working for people´s habitat in Latin America]. Universidad Autónoma Metropolitana y HIC-AL, Mexico City. Ortiz, E. y L. Zárate (2004) De la marginación a la ciudadanía. 38 casos de producción y gestión social del hábitat [From Marginality to Citizenship. 38 cases of social production and management of habitat]. Forum Universal de las Culturas, HIC y HIC-AL, Barcelona. Roy, A. (2009) Strangely familiar: planning and the worlds of insurgence and informality. Planning Theory 8.1: 7–11. Schechla, Joseph (2004) Anatomies of a Social Movement. Social Production of Habitat in the Middle East/North Africa (Part I). Housing and Land Rights Network-Habitat International Coalition, Cairo. Torres, Rino (2006) La producción social de la vivienda en México. Su importancia nacional y su impacto en la economía de los hogares pobres [The social production of housing in Mexico. National relevance and impacts in the economy of low income households]. HIC-AL, Mexico City. Yiftachel, O. (2009) Theoretical notes on ‘gray cities’: the coming of urban apartheid? Planning Theory 8.1: 88–100. Wigle, Jill (2013) The ‘Graying’ of ‘Green’ Zones: Spatial Governance and Irregular Settlement in Xochimilco, Mexico City. International Journal of Urban and Regional Research 38.2: 573-589. Lorena Zárate is President of Habitat International Coalition. She has participated in the elaboration of the World Charter and the Mexico City Charter for the Right to the City. Lorena Zárate is currently President of Habitat International Coalition (HIC). 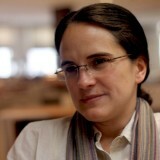 She was regional coordinator of HIC-Latin America office (2003 to 2011). She has been involved in the elaboration and dissemination of the World Charter on the Right to the City, the consultation process to define the Mexico City Human Rights Program, and the Promoting Committee for the elaboration of the Mexico City Charter for the Right to the City. At international level, she has been in close collaboration with the UN Special Rapporteur on the Right to Adequate Housing and the Office of the UN High Commissioner for Human Rights. She has published books and articles on issues related to housing rights, social production and management of habitat and the right to the city. She has participated as speaker in more than 20 countries. In 2013, she was awarded with the John Bousfield Distinguished Visitorship from the Geography and Urban Planning Program at the University of Toronto.